Experience Jack London’s “call of the wild” as you sail up to the towering, glass glaciers with eagles circling the snow-capped peaks and bears pawing for wild salmon in the rivers below. Despite its association with cold temperatures due to its northern status, in the summer the melting ice pools into glassy waters and unveils the rich land below. Humpback whales, seals, bears, and moose emerge and intermingle without hesitation as they roam their native land. Full of diverse wildlife and virginal land, Alaska will transport you to another time and make you acutely aware of your humanity and connectedness to the circle of life. 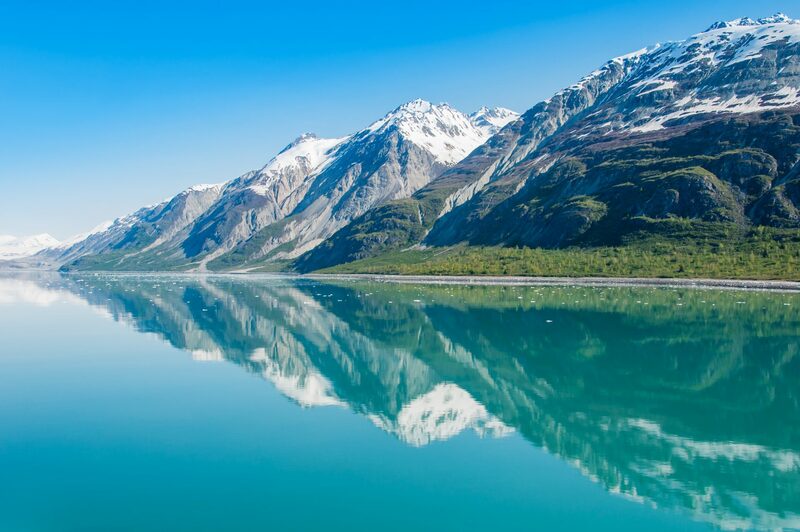 Often referred to as “The Last Frontier”, journey to Alaska for a week of exhilarating outdoor pursuits, serenity, and awe at the majesty of it all. Meet the yacht in Sitka, Alaska and cruise to the Peril and Chatham Straits. En route, stop for a dip in the geothermal Baranof Warm Springs with a view of a magnificent 100-foot waterfall. Anchor for the evening in Red Bluff Bay and explore the area home to a multitude of cascading waterfalls. Keep your eyes peeled as you cruise from Red Bluff Bay to Fredrick Sound, an area known for its frequent humpback whale, orca, and porpoise sightings. Your final destination of The Brothers Island is also renowned for its abundance of wildlife, especially Steller sea lions, so be sure to have your camera ready to capture this rare opportunity. Make your way from The Brothers Islands to Tracy Arm, a winding fjord with sheer granite walls. Here you’ll find the twin Sawyer Glaciers – Sawyer and South Sawyer – which move a distance of two feet a day, slowly forging their own separate paths. Get up close and personal to the twins by making use of the yacht’s water toys and kayaking or paddle boarding up to the icy behemoths. For less daunting sightseeing, explore the fjord, a haven for natural wildlife as you search for bears, mountain goats and artic terns. Journeying south you will reach the village of Petersburg. The strong Norwegian influences on the town can be seen from the rosemaling adorned buildings to the local phonebook filled with Hansens and Larsens. Explore the intimate Scandinavian town and then switch gears and visit the largest totem poles in Alaska, an homage to the Tlingit Indians who were the indigenous people of the area. One of the best views of the glaciers is from a bird’s eye view. Dress warmly for your chartered helicopter ride and alfresco lunch on one of the glaciers. Petersburg also offers an array of hiking trails and other excursions, including golf. East of Petersburg is the LeConte Glacier. When underwater icebergs split from LeConte they’re said to shoot into the air creating quite a unique spectacle. From Petersburg thread through the 46 turns of the Wrangell Narrows to Wrangell Island. Often referred to as “pinball alley” because of how winding and narrow the channel is or “Christmas tree lane” because of the number of red and green navigational lights, the journey between Petersburg to Wrangell Island is an experience of its own. After breakfast, disembark on Wrangell Island. Here you will find flights and ferries to the mainland.